Advantages: Best kit of this vehicle and system yet; beautifully detailed rocket packs and rocket end sections; complete drive train. Back in the late 1930s the Soviets developed modern rocket artillery, which they sprang on the Germans in 1941 under the covername of “Guards Mortar Units”. The first rockets, the RS-82, soon gave way to the larger 132mm RS-132 which served for the entire war and into the postwar era. By the late 1950s the rockets were becoming quite elderly and a new and more powerful, longer ranged weapon was required. 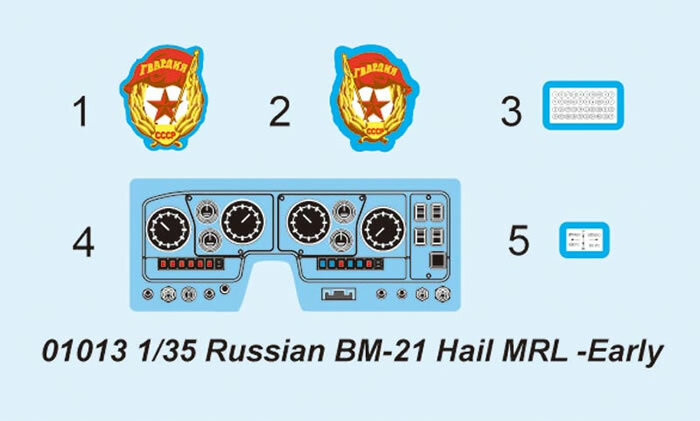 The result was the development of the M-21 system by NII-147, better known today as “Splav” in Tula. Production began in the early 1960s but until 1969 this was a “secret” weapon and not deployed outside of the central USSR. In March of that year the Chinese occupied Daman Island in the Ussuri River and refused to leave. It soon built to a flash point after border guards were unable to drive off the Chinese, and even after the first combat deployment of another “secret” weapon – the T-62 tank – all that happened was one T-62 sunk in the river and about 30 casualties. The Soviets sent in the 135th MRD to solve the problem, but the Chinese began to deploy artillery and infantry units to resist the efforts to take it back. Based on reconnaissance data, the Soviet commander thought he had located the Chinese artillery group, so he brought up his secret weapon to suppress them – a battalion of 12 BM-21 “Grad” rocket launchers. Just before dawn the battalion fired a complete salvo – 480 122mm rockets – into what they thought was the artillery group. It turned out to be the cantonment area of two Chinese infantry regiments, and based on source they caused between 4,000 and 9,000 casualties with 1,200 killed. The Chinese withdrew the next day. 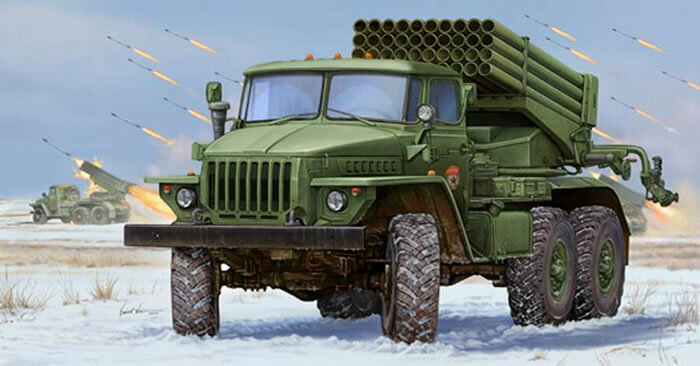 The BM-21 “Grad” (Hail in English, but that is the name of the rocket, not the launcher) has been in constant service now for more than 40 years and is still going strong, with a new launcher called the “Tornado-G” soon to enter full service with longer ranged rocket with course correction. The original is still pretty fearsome, as it can fire 40 rockets up to 20 kilometers in only 19 ½ seconds. 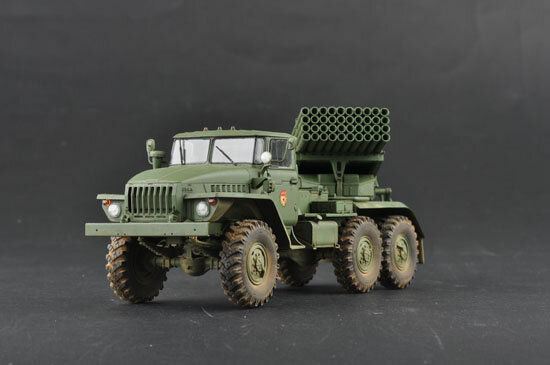 It has evolved over the years from Ural-375 gasoline powered trucks to Ural-375D diesels to Ural-4320 trucks, and the rockets in Russia were also mounted on GAZ-66 airborne trucks (BM-21V) and a 30-round launcher on the ZIL-131 (BM-21-1 “Grad-1"). A 50-round version called “Prima” was apparently cancelled soon after it was accepted for service. 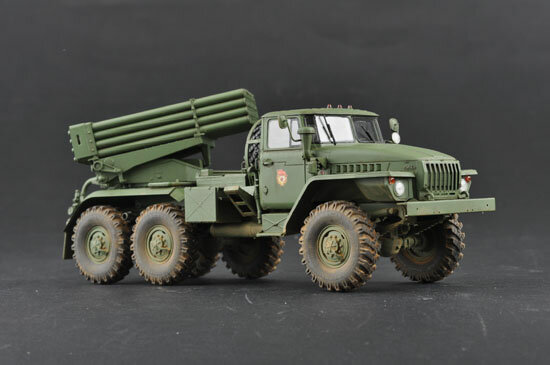 There have been several attempts made to kit a model of the BM-21, starting in resin with several tries, but in 1998 the only other styrene kit was released by Omega-K (later ICM). This kit had 252 parts (233 in light olive styrene, 12 in clear styrene and 7 black vinyl) and while rough did built into a pretty decent model of the BM-21. But it was marred by a lot of ejection pin marks, soft details, problematic vinyl tires (they don’t quite melt, but if you are careful you can stick a finished model to your ceiling!) and a less than impressive standard of fit. 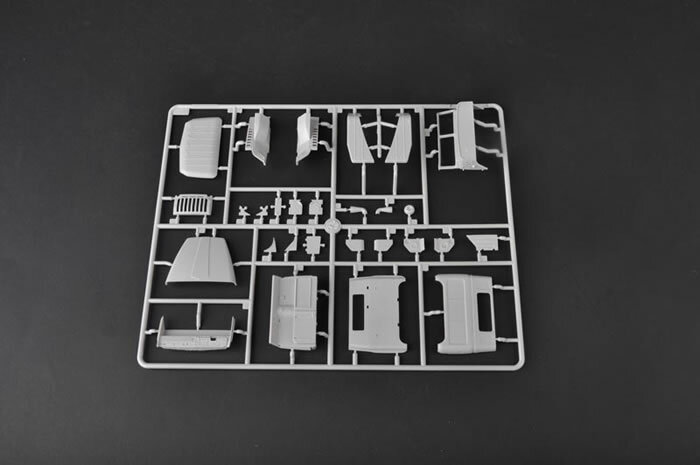 Trumpeter has now come out with this stunning new kit that literally doubles down on the number of parts and details captured. 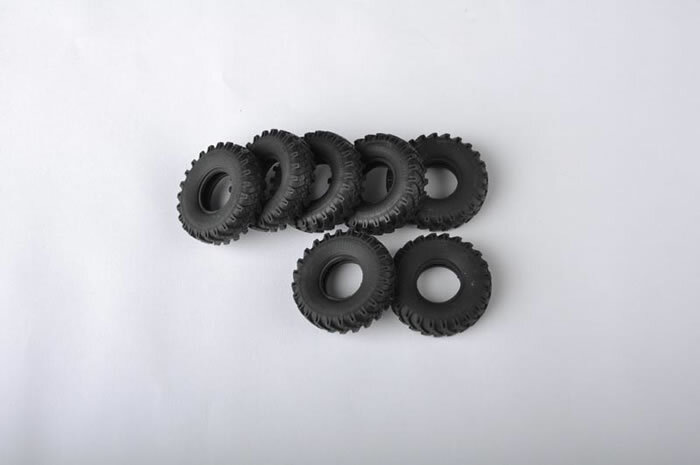 The parts are far crisper and the tires even come molded without a very large center line to remove (it’s there but very hard to see). 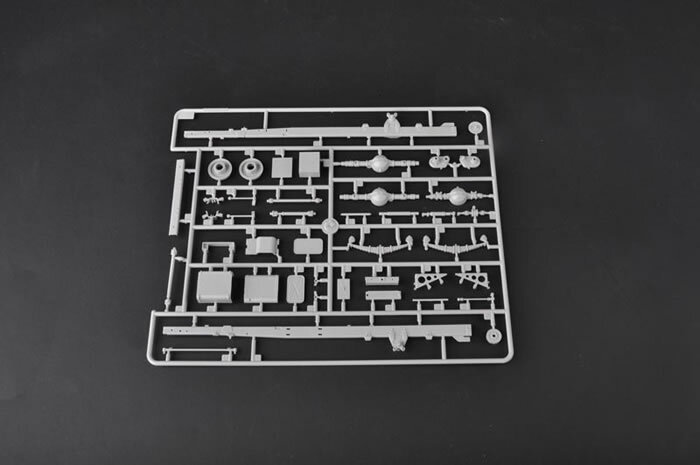 The engine and transmission together comprise more than 40 parts and the chassis is quite detailed. The only thing I noted was missing from checking the kit with photos I had on hand of a BM-21 was the curious duplicated Pittman arm and rod on the right side of the chassis. I don’t think this was connected to the steering but appears to be some sort of buffer or booster for steering. Oddly enough Omega-K got it right on their kit. The kit is packed in standard Trumpeter fashion with expanded foam padding around the doors and the spare tire rack/mount. 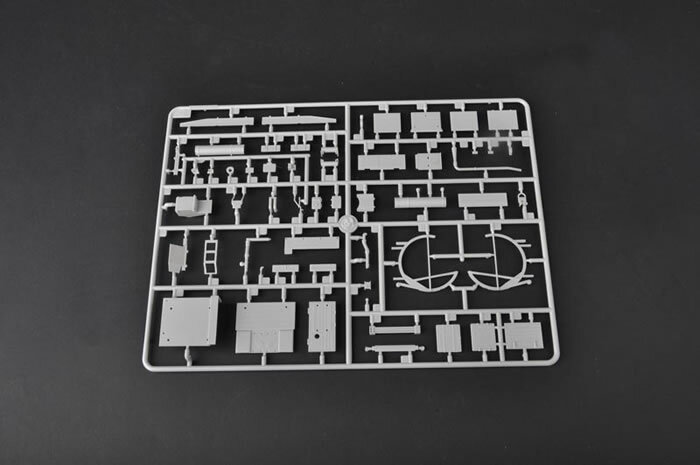 As the kit shares parts with a Ural-4320 cargo variant, it explains the break in the sprue layout. 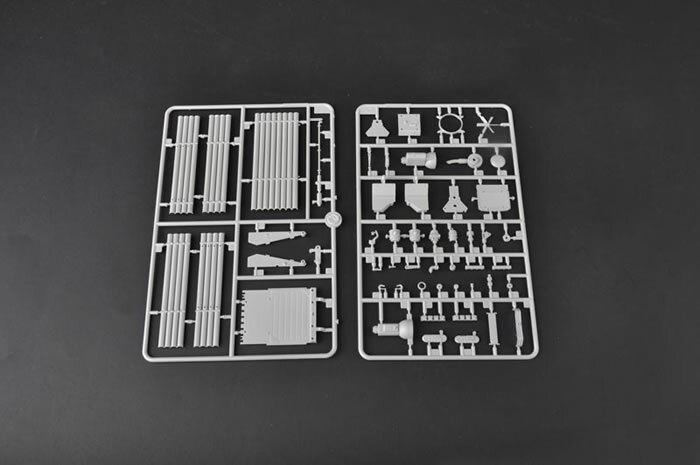 Assembly starts with the chassis and engine and covers the first 10 steps of the directions. 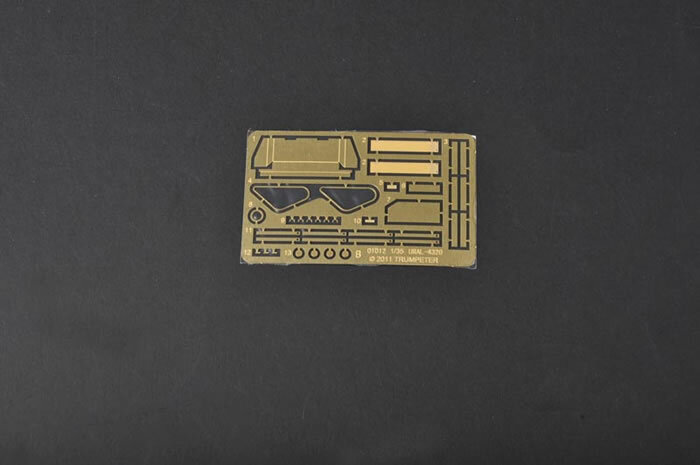 The only dicey part is the fact that the two bumperettes for the rear of the chassis are photo-etched brass and must be bent to shape, and as it is a very irregular shape will cause problems for some modelers. It’s a bit of a shame that Trumpeter didn’t give the modeler an option for styrene here. The suspension on this kit is rock solid (the Omega-K kit is a “working type” so flexes all over the place) so the details are better and assembly is surer. The cab is nicely detailed and includes a decal for the dashboard instruments. The firing controls are provided (the rockets are fired with the crew in the cab and the pack approximately 45 degrees left or right) but the selector panel is in the closed position (you can select from 1 to 40 rockets to fire). While the doors are two parts (inner/outer) the windows are fixed so you cannot set them up or down without work. The curious two-part windshields are crisply done (this was the big bugaboo with the Omega-K kit as it made it nearly impossible to get the windows in the cab). Assembly of the rocket pack and launcher starts with Step 20 and is more involved than one would think. That requires a different parts breakout than the Omega-K one (eight parts consisting of four sets of 10 tubes). 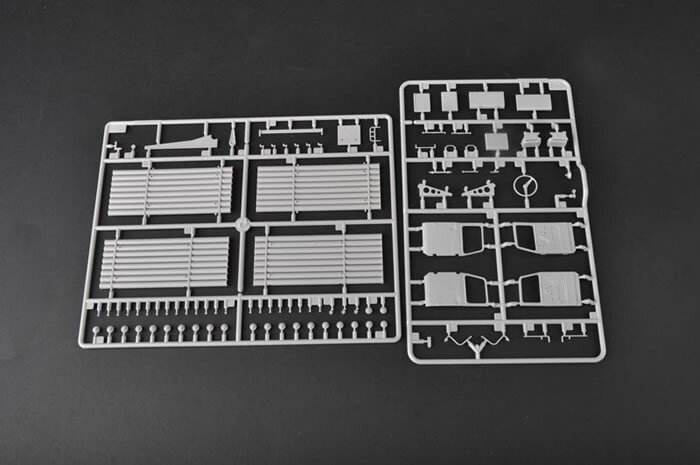 Here the central part of the pack is assembled first from four sets of eight tubes, each of which has a loaded rocket base and igniter in place and also the lock that holds the rocket in place in the tube. The other eight tubes are in two sets of four, and this is so the right hand ones can properly show the groove for spinning the rockets which is visible on their outer side. The pack also has nicely done blast guards at the rear and a complete sight and mount. Only one finishing option is given, which is a “protective green” vehicle with “Gvardiya” Guards badges on the doors. 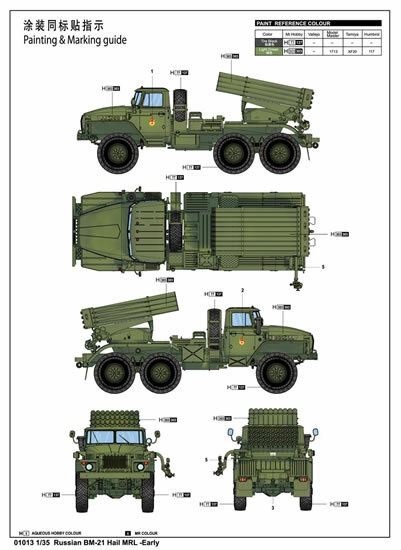 This is not wrong as nearly all BM-21s bore no markings but most of them did have a license plate with registration number on the front and rear, and those are not provided. 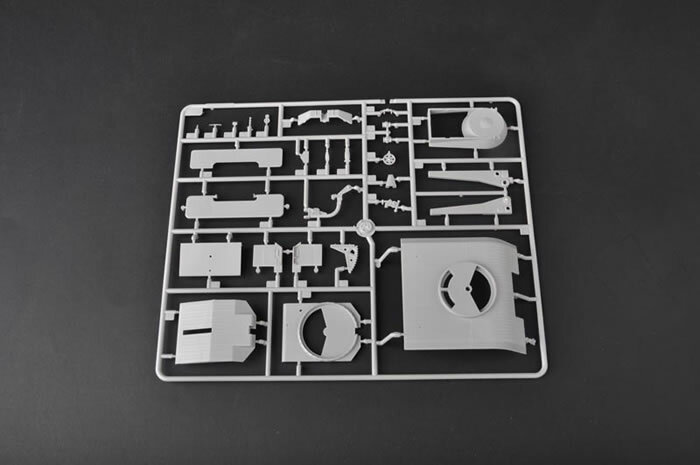 Overall this is a beautiful kit but the eentsy parts like the tube locks may bother some modelers; at least Trumpeter does provide extras in the kit!